My house is full of giggles this evening. We are having a double sleepover. My Daughter and Son happen to have friends that are Brother and Sister also. It is a fun time and we have had an absolute blast so far. Of course after we grilled Hot Dogs and Hamburgers we needed something sweet. I went downstairs to dig around in my stockpile of sweet treats. I pulled out a box of brownies, bag of marshmallows and a jar of peanut butter. Oh…and then a helper grabbed some chocolate chips. We knew that we were in for sugar overload, but it would be good. My helpers and I came up with this gooey concoction that is decadently delicious and kid friendly! You have to try this one! Bake brownies according to package. Remove from oven 2 minutes early. 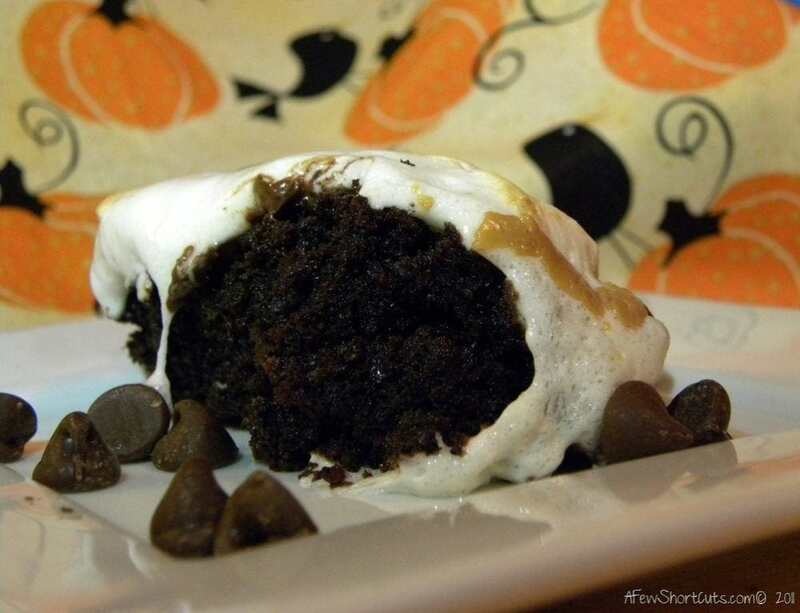 Cover the top of the brownies with marshmallows. In a microwave safe container microwave peanut butter for 30 seconds on high. This will make it thin enough to pour. Drizzle peanut butter on top of marshmallows. Return to oven for 2-4 minutes or until marshmallows become soft and gooey over the top. A Gluten Free Brownie mix can be used. I also used Ghirradelli Chocolate chips because they are dairy free.